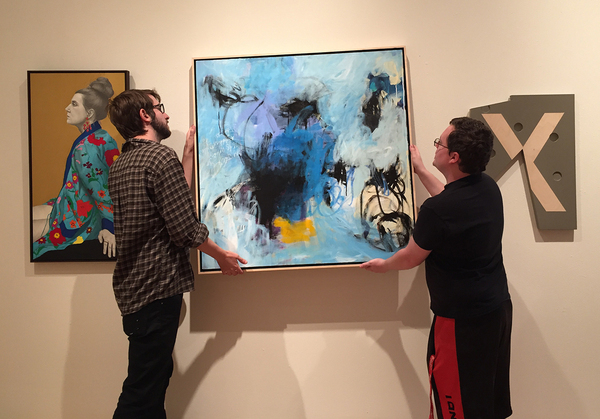 Stephen F. Austin State University art students Jacob Moffett, left, and Weelynd McMullen install art work for this year's Texas National Juried Art Competition and Exhibition, which opens Saturday, April 14, in The Cole Art Center @ The Old Opera House in downtown Nacogdoches. Juror Jed Perl will give a talk at 5 p.m., and winners will be announced during the reception, which is from 6 to 8 p.m. Admission is free. For information, call (936) 468-1131.